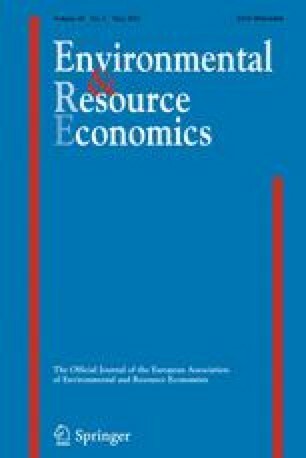 Because of the lack of markets for many environmental services, economists have turned to valuation surveys to estimate the value of these services. However, lack of market experience may cause respondents in valuation surveys to be more prone to interview effects than they would be with other opinion surveys. Without reference to market price or experience, respondents are less likely to have well-defined preferences, which may cause respondents to be more easily influenced by the interview process and characteristics of the interviewer. In this paper, we investigate interview effects in a random digit dial telephone survey of recycling valuation and behavior. Following previous research in both psychology and survey methodology, we test the direct effects of interviewer gender and race, as well as the interaction effects between interviewer and respondent characteristics. Using data from 130 interviewers and 1,786 interviewees, we apply a hierarchical regression model that accounts for the clustering of interviews and controls for a variety of other confounding variables. We confirm the existence of both direct and conditional interviewer effects. Respondents state higher willingness to pay when interviewed by white or female interviewers than by non-white or male interviewers. There were also significant interaction effects between interviewer and respondent characteristics. The directions of the interviewer effects are consistent with previous survey research and social psychology theories. We also identify some non-traditional interview process factors that have an influence on survey responses. This research is supported by National Science Foundation grant #0108159. Environmental Protection Agency U.S. (2009) Municipal solid waste generation, recycling, and disposal in the United States: detailed Tables and Figures for 2008, (www.epa.gov/epawaste/nonhaz/municipal/pubs/msw2008data.pdf). Norris D, Hatcher J (1994) The impact of interviewer characteristics on response in a national survey of violence against women. In: Proceedings of the survey research methods section. American Statistics Association (www.amstat.org/sections/srms/Proceedings/).